Hand forged from rust-resistant stainless steel and fitted with solid ash handles, these Sneeboer long-handled tools are built to last. Lighter and shorter than full-size tools for easier handling, they’re longer than regular hand tools to reduce the need for bending - ideal for those with back problems. A slimmer section in the middle of the handle allows you a secure, comfortable two-handed grip. 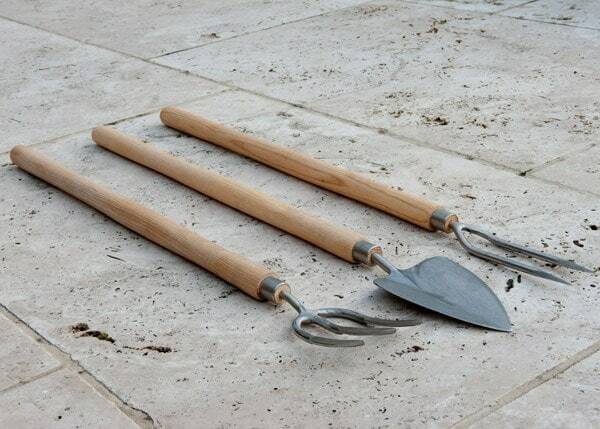 Hand fork, great for cultivating and weeding. 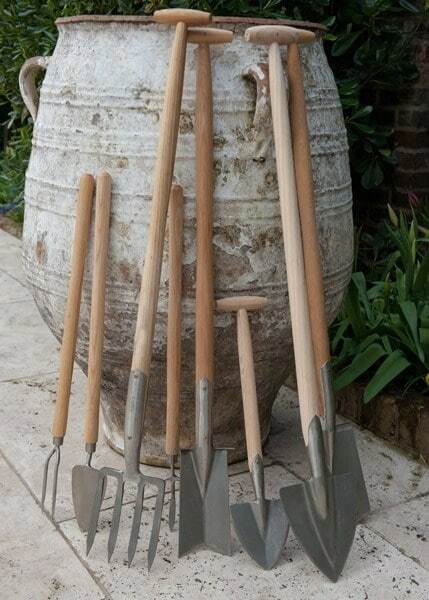 Weeding fork, perfect for loosening soil around deep weeds. Transplanting trowel, suitable for digging, planting and weeding. 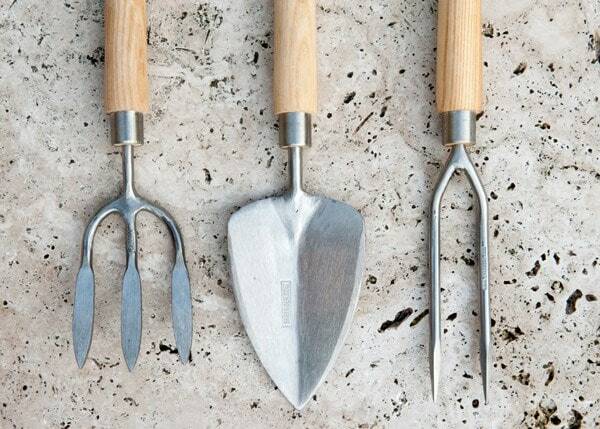 Both forks have sharp tapered tines for reduced soil resistance, and the trowel’s sharp pointed blade gives it excellent soil penetration to make planting and other gardening tasks easier. The long handle increases the range of one's arm and gives good purchase when using in a seated position. The tapered blade and point are effective in tough areas and among tree roots. The handle is comfortable and the whole is strong and good-looking. I have found no faults with it so far and would recommend it.